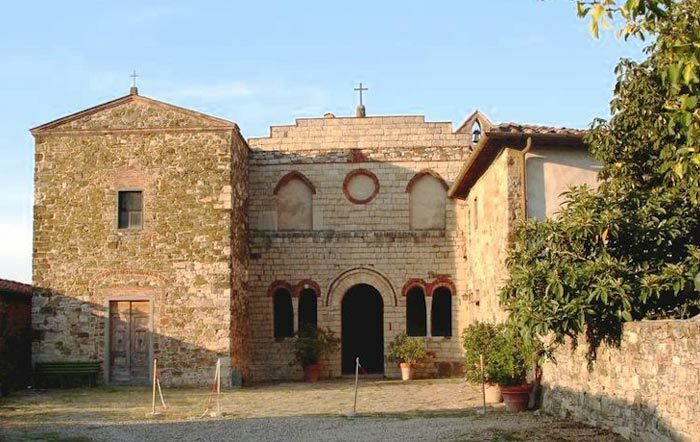 La Pieve di San Cresci is situated just outside of Montefioralle, above the bustling town Greve in Chianti, in the province of Florence, in the diocese of Fiesole. The old church is named after one of the greatest evangelists of the Florentine countryside. Montefioralle was located along the via del Guardingo di Passignano, a path that connected the three main valleys of the southern part of the Florentine countryside with the Abbey of Passignano, the Val d'Elsa, the Val di Pesa and the Val di Greve in the Upper Valdarno . A guardingo is a watchtower. There is a nice walk from Montefioralle to the small parish church (30 min). See the map below. La Macina di San Cresci, founded in 2001, is located within the complex of the restored church of San Cresci. Home of a residency program dedicated to artists and curators. 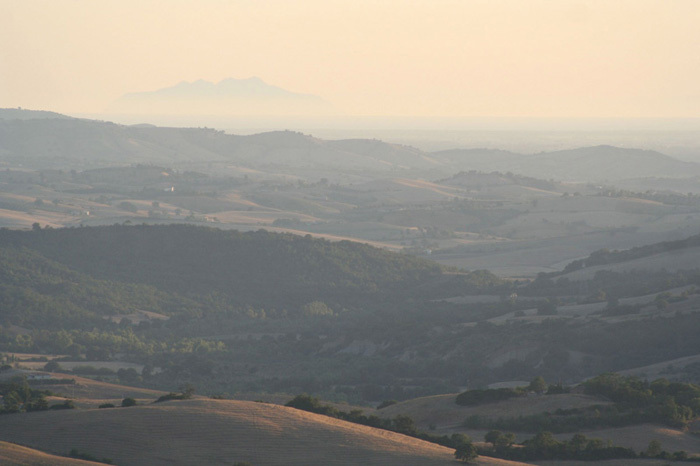 La Macina di San Cresci develops contemporary art projects in collaboration with the Tuscany Region, Fondazione Sistema Toscana, Faculty of Architecture dip. Design of the University of Florence, Municipality of Greve in Chianti. Source: scheda nei "Luoghi della Fede", Regione Toscana, web.rete.toscana.it.